Everybody likes Cheetos. 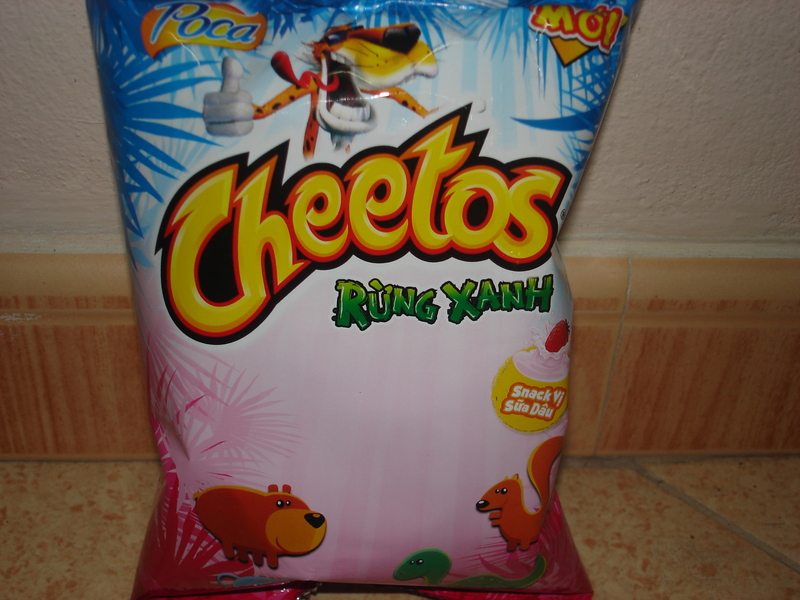 Given the popularity of our Foods to make using flaming hot Cheetos post, we have decided to extend that awesomeness by showing you what type of Cheetos your international brothers and sisters are enjoying. Ketchup flavor is a pretty common flavor in Canada, so I guess its not that surprising that Cheetos has their own variation. What’s next? Putting cheese and gravy on my french fries? The Asian countries do love their seaweed. Salty, seaweed(y) and crunchy, the makings of a killer snack. 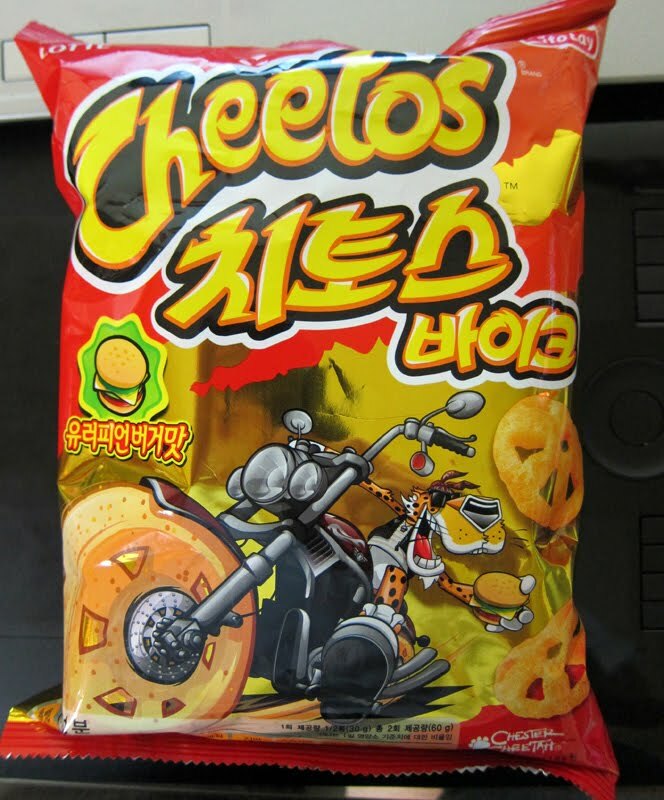 Frito-lays came out with a “sweet” line of Cheetos in Asia. This actually reminds me of Pocky, so I guess that’s okay. 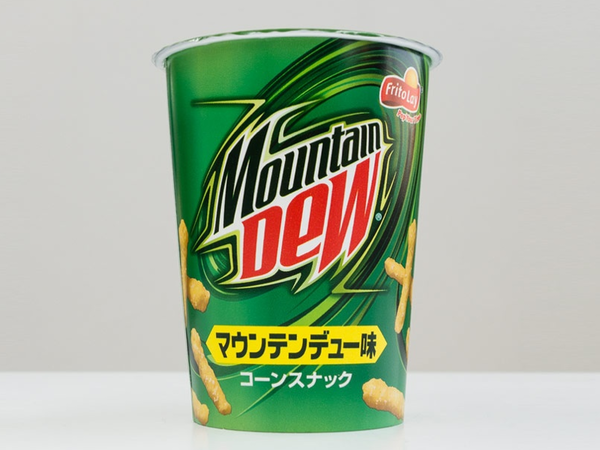 Even the Japanese think this stuff is gawd awful. Apparently they shelved this product only a few months on the market because no one was buying them. Gee, I wonder why. Between this and the Pepsi flavored version, which one will lead you to the toilet faster? Everything awesome has to have a Hello Kitty variation. Kind of like, you know, cars, planes and stuff. Can’t help but feel they might be a bit over-ambitious here. In theory, this should be reasonably heathy. I mean, peanut is a legume, hence, these Cheetos should be a valuable source of protein therefore resulting in healthy muscles(unverified, obviously). Okay, this actually sounds pretty legit. Metaiko mayo is a popular condiment that is used to flavor things such as pasta, burgers and everything in between. While we don’t use mayo, unless its to liven up a dry sandwich, the Japanese like it with everything. Cheetos is no exception. 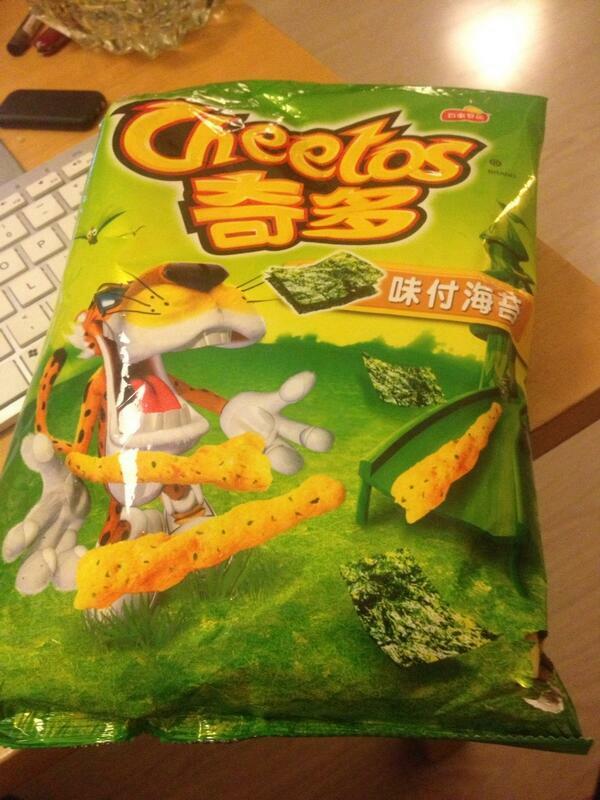 I guess that would make Cheetos healthy, right? LOST IN TRANSLATION: ANOTHER CHINESE CHINGLISH FOOD POST.